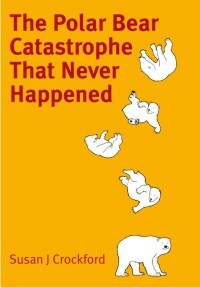 One powerful polar bear fact is slowly rising above the message of looming catastrophe repeated endlessly by the media: More than 15,000 polar bears have not disappeared since 2005. Although the extent of the summer sea ice after 2006 dropped abruptly to levels not expected until 2050, the predicted 67-per-cent decline in polar bear numbers simply didn’t happen. Rather, global polar bear numbers have been stable or slightly improved. The newest polar bear science paper making the rounds courtesy the US Geological Survey, is a perfect example of a statistically-significant result with no biological significance. While the results are rather lame, the paper is dangerous because it repeats the disingenuous claim (see Crockford 2017) that Southern Beaufort Sea polar bear numbers declined in recent years due to summer sea ice loss. The USGS authors (Durner et al. 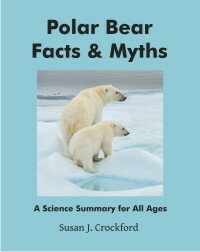 2017) know this harm-from-summer-ice-loss assertion is not true for the Southern Beaufort subpopulation but the more papers they can get into print that say so, the more likely it will be believed — and the less likely readers will check older literature that documents the recent decline in polar bear numbers was due to a three year period (2004-2006) when thick ice conditions in spring made seal hunting a challenge, a repeat of a well-known phenomenon (e.g. Stirling et al. 1980; Stirling 2002) unique to this region that has been documented since the 1960s. 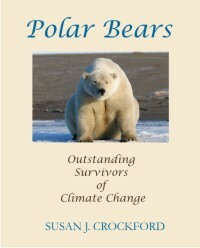 The Durner paper (USGS press release “Increased Sea Ice Drift Puts Polar Bears on Faster Moving Treadmill” published online 6 June ahead of print) spins the research results as potentially significant bad news but in so doing reveals how desperate they have become to make the public and their biology colleagues believe that Southern Beaufort polar bears, among others, are being negatively affected by summer sea ice loss (as per Stirling and Derocher 2012). In fact, the Durner et al. paper does not document any harm to polar bears from the proposed ‘treadmill’ effect of more rapidly moving ice for the period 1999-2013 compared to 1987-1998, but instead uses models to suggest bears might have to eat one to three more seals per year to compensate for the extra energy needed to walk against the moving ice. That’s right: perhaps only 1 more seal per year out of the 50 or so they would usually consume (see Stirling and Øritsland 1995). In my opinion, that’s a pretty lame result for what one of the co-authors described as an immense amount of work. Posted on May 22, 2017 | Comments Off on Southern Beaufort sea ice melt in May: good news for polar bears or catastrophe? Last week biologist Andrew Derocher recently implied via twitter that less sea ice in the eastern portion of the Southern Beaufort (SB) this year at mid-May is harmful to polar bears (calling it “a hole in the ice where polar bears used to live“), but both long-term and short-term data don’t support such a glass-half-empty interpretation. Not only does spring breakup of sea ice in the SB normally begin with such open patches of water (see the video above from last year) — driven by the powerful currents of the Beaufort Gyre, not ice melt (explained in detail here) — it may actually be necessary for the survival of local seals, polar bears and whales in spring and early summer (Citta et al. 2015; Crawford et al. 2015; Harwood et al. 2015; Stirling et al. 1981). As I’ve pointed out before, the biggest threat to SB bears is thick sea ice in spring and its associated late breakup, a 2-3 year-long phenomenon unique to this region known to have occurred about every 10 years since the early 1960s (well documented in the scientific literature) but which has not (as far as I know) happened since 2004-2006. In other words, a considerable patch of open water and less concentrated ice in the eastern SB around Cape Bathurst is almost certainly a good thing for this particular subpopulation (see previous post here for an in-depth discussion) because historically, when a polynya of some extent has not formed by April or May it has been devastating for local marine mammals. Comments Off on Southern Beaufort sea ice melt in May: good news for polar bears or catastrophe? A quiet year for problems in the polar bear capital of the world (Churchill, Manitoba) so far – despite this year tying for the second-lowest minimum since 1979 – and the ice is growing fast. In fact, Arctic ice growth in the second half of September was rapid and there is now more ice than there was at this date in 2007 and 2012 (when polar bears in those regions considered most at risk did not die off in droves). Pessimistic polar bear specialists are wrong – polar bears are much more resilient to low sea ice levels in summer than they assume: their own data from low summer ice years proves it. If you’ll recall from my previous post, polar bears seem to have barely survived the extensive sea ice coverage during the Last Glacial Maximum – in other words, too much ice (even over the short term) is their biggest threat. Polar bear numbers, as confirmed by the latest estimates in the 2015 IUCN Red List assessment, are higher now than they have been since the 1960s, despite almost 10 years of summer sea ice minimums below 5.0 mk2. Churchill Polar Bear Alert reports and Arctic sea ice comparisons at this date, in detail below. A report from the CBC this morning (with video) of a large polar bear wandering about the village of Tuktoyaktuk on the (Canadian) shore of the Eastern Beaufort Sea on Thursday (29 September) that got very close to a group of children playing outside. Fortunately, no one was hurt. That this was a rare event is evident in the awe and excitement in the voices of the residents as someone recorded the movements of the bear through town (picture quality is not the best, but clear enough). As I’ve said before, with more bears we can expect more interactions with people and more sightings like this that haven’t happened in decades. Map and quotes below. Even though it is well known that subadult male polar bears (≤ 4 years old) continue to grow in mass and bulk as they mature – so that their thick necks get even larger – in recent years Andrew Derocher and his students at the University of Alberta potentially endangered the lives of many subadult males in the Southern Beaufort in the process of learning relatively little they didn’t already know. So, how much “unplanned collar retention” issues [collars that did not fall off as expected] went on during this 2007-2010 study? They don’t say. Is this paper saying U of A researchers knew they had ‘collar retention’ issues as far back as 2010 but continued to deploy them on subadult males after that study was over? It seems so, because they had an issue with just such a bear last year. So now they realize that putting collars on subadult males is not such a good idea. Brilliant!